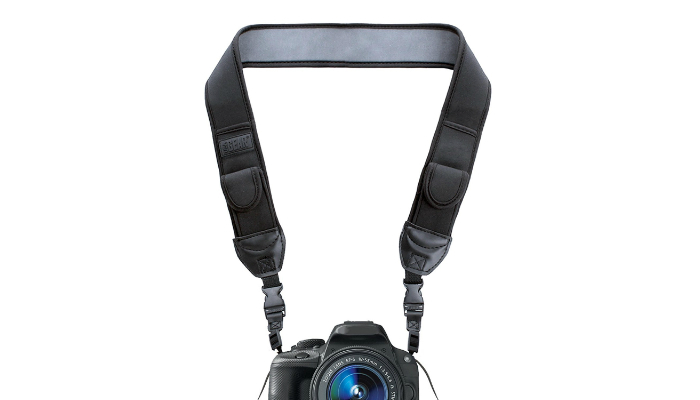 Most cameras, if not all, already have their own strap as part of the purchase. However, in some instances wherein the camera strap gets worn-out or damaged, the owner really needs to buy a new one. Another reason to have a new strap is for the sake of fashion or style. Either way, you have to buy the right kind of strap, mainly to avoid accidental drops. After careful research and product testing, we are giving the best camera strap in today’s market while considering affordability. Altura Photo Rapid Fire Quick Release Safety Tether Camera Neck Strap is lightweight which makes it an ideal choice since most high-end cameras are heavy. We do not want the extra weight, obviously. More about this product’s lightness, it is comfortable to wear because the neoprene pad evenly distributes weight across the shoulders. That’s why it is perfect for travel and frequent use, specifically for professional photographers. What makes it even more special is its unique zipper pocket that can store memory cards and batteries. More importantly though, how secure is this camera strap? It is composed of reinforced materials. A tough metal plate connects the camera and the strap. Despite its strength, it has rubber layer underneath to prevent abrasion and slips. It is actually quite versatile, too. It is not a hindrance whenever you need to attach the camera to a tripod. This metal plate is also easy to attach and remove, thanks to its quick-release feature. Peak Design Slide Camera Strap has several unique features. It has special anchors that can alert you if it starts to experience tear and wear. It also has tough handles made of aluminum that can be easily adjusted so you can keep your camera close to you. 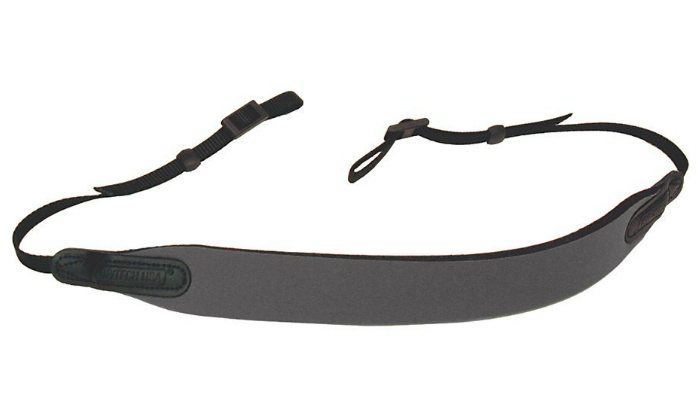 This product can be transformed into a neck strap or a sling strap in just a matter of seconds. It has a good grip to avoid swaying and slipping while you are moving. USA Gear TrueSHOT Black Neoprene Design Accessory Pockets Camera Strap works well with Sony, Nikon, Fujifilm, and Canon cameras. Generally, it is ideal for an instant, mirrorless, and DSLR cameras. Its pockets are elongated, good for objects such as pens, pencils, and markers. If you are also searching right now for a good instant camera, check our take on the best Polaroid cameras. Likewise, you may also check out our take on the best action camera available on the market today. 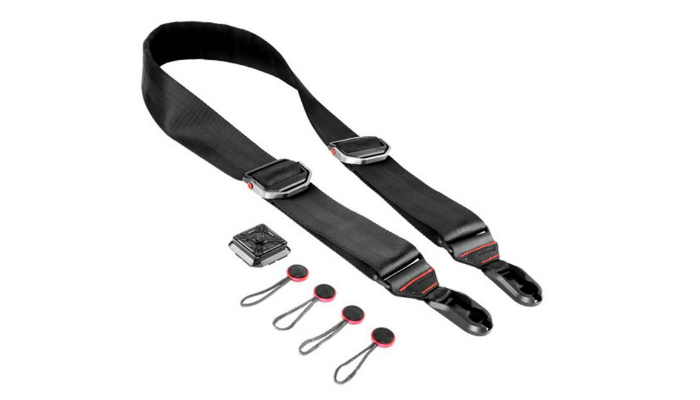 OP/TECH USA E-Z Comfort Strap has a functional design that includes streamlined neoprene. It can fit most types of cameras, even binoculars with rain guards. It can go as long as 44 inches depending on your preference. 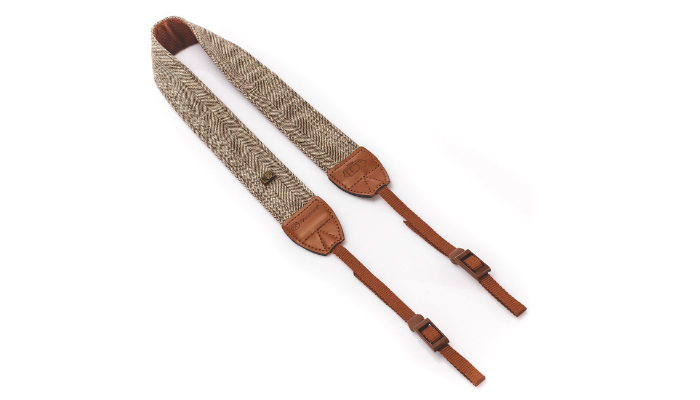 Even though quick-release features can be irresistible, this camera strap stays traditional for safety purposes. The quick-release function can actually be risky if you buy the wrong product or brand. 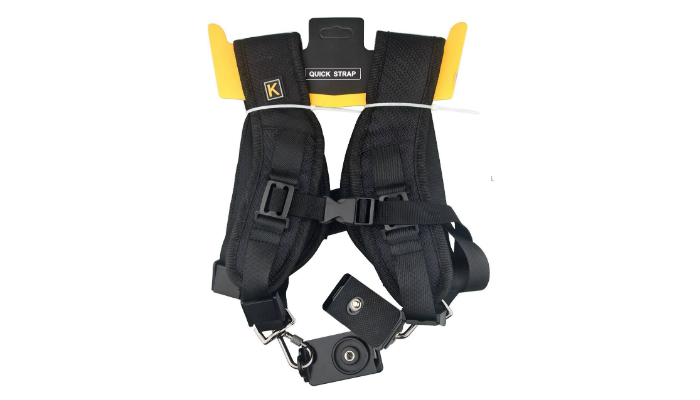 Konsait Quick Release Adjustable Double Dual Shoulder Harness Camera Strap is composed of an extremely thick type of material combined with a metal plate and screw for durability and security. It can carry two cameras at once, obviously an excellent choice for professional photographers. Not only that, it can also be separated into two individual straps if you prefer. Lastly, it comes with a free dust blower ball and dust brush so you can keep the camera lens clean at all times. To learn more about what professional photographers know, we have a list of interesting photography books you may use for self-training. 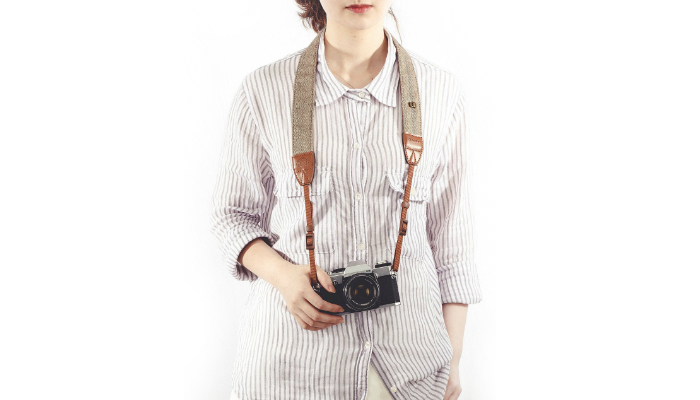 TARION Vintage Belt Classic White and Brown Weave Camera Shoulder Neck Strap is made of PU and cotton for durability and comfort without the high price. It is perfect for stylish photographers because of its timeless look. Specifically, it is designed for DSLR cameras especially from brands such as Olympus, Panasonic, and Pentax. 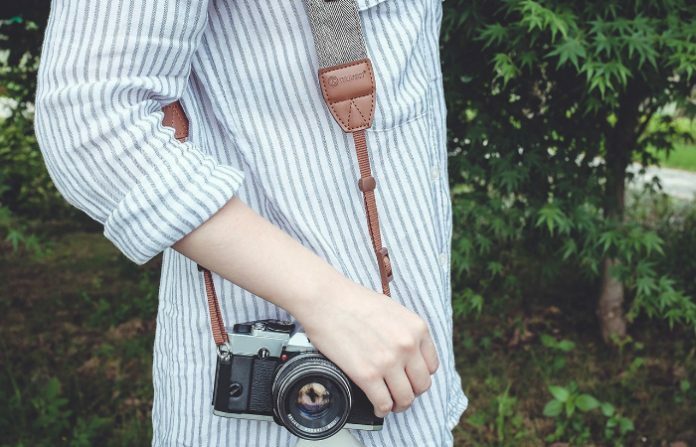 Type is the most important factor to consider before you finally purchase the best camera strap for your needs and preferences. There are three types of camera straps based on our observation. We have the neck strap, shoulder or sling strap, and hand strap. The shortest one is the hand strap. 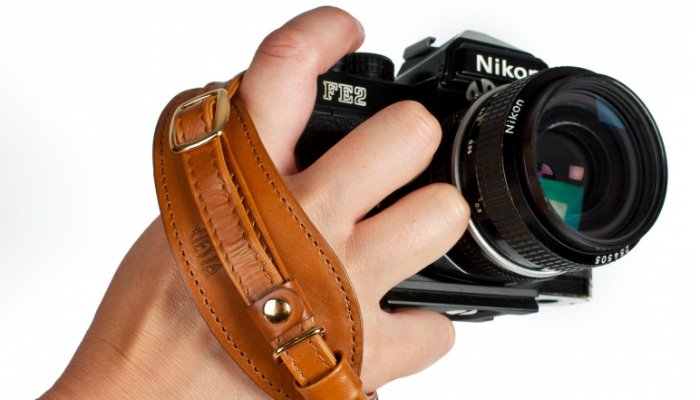 Some camera straps are designed to fit only your hands or wrists. Sure, you may utilize a longer one by twisting it around your wrists, but it is not as tight and secure as the hand strap. The only disadvantage of hand straps is you can only move as much. Your range of movement is limited since you have to hold the camera at the same time. Next, the neck strap is longer than the hand strap but shorter than the sling. We believe this is the most secure strap since you can monitor your camera from time to time without holding it. The shoulder strap is also good, but some people tend to forget that their camera is still hanging which may result to damaging bumps. It feels just like a shoulder bag’s strap which is not a good thing for forgetful people. The downside of neck straps is discomfort. Yes, your camera is safe and all, but are you willing to sacrifice comfort for the whole photography session? Neck straps are susceptible to sweat which may irritate your skin. Speaking of comfort and convenience, the shoulder or sling strap is probably the best one when it comes to that. It makes the camera lighter than usual. You can even make it longer and wear it as a crossbody bag. Just be more cautious everytime you use this type of camera strap. Actually, you do not have to overthink about the best camera strap for your device because most straps nowadays are adjustable and universal. Just make sure that your body matches with the maximum length of the strap if you have a big frame and/or tall height. Also, there are already neck straps with thick breathable padding to ensure comfort. Lastly, if you are a professional photographer, you might want to go the extra mile and search for dual straps that look like harnesses. 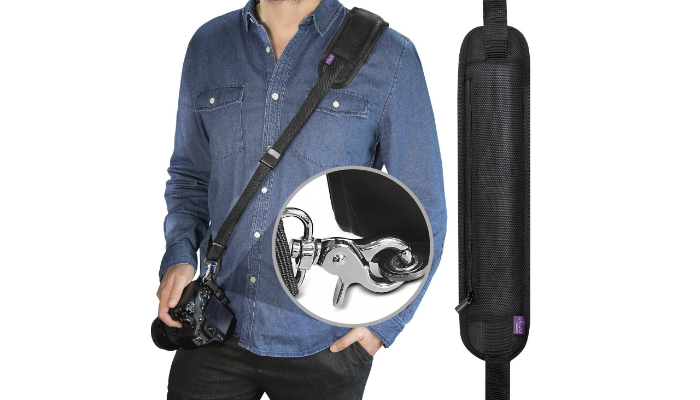 These straps securely carry two cameras at once. Since you are obviously interested in photography, you might want to learn how to develop film. Lastly, are you planning to make a tangible compilation of your beloved photos? Find out the most ideal photo albums.